An Egyptian god putting others on trial for their guilt? Who do you think is at the top of that list of possible victims? One Dean Winchester, of course. And that was the set-up for Supernatural‘s episode “Defending Your Life. Many fans were looking forward to this episode for a number of other reasons as well, two of which were the promise of Lawyer!Sam and the return of Jo Harvelle, albeit a temporary escape from the grave. 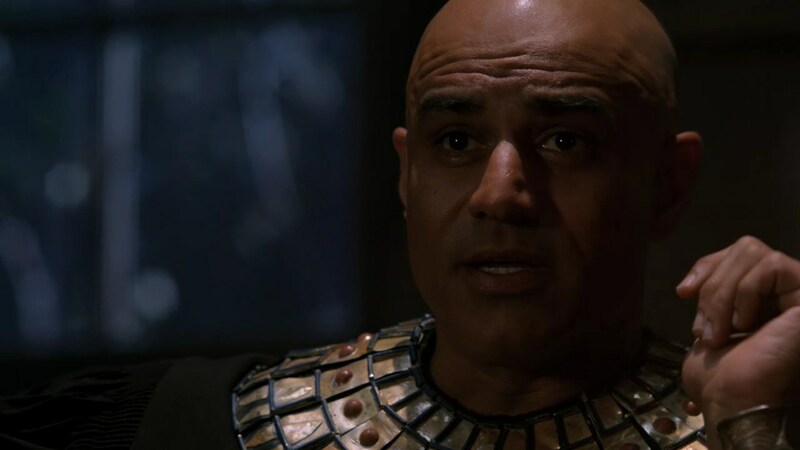 This episode was an interesting way to portray the Osiris myth. I was confused at first, since the victims were being chased by hallucinatory elements and then we find out they had actually turned their lives around, so Osiris was judging them for the guilt that still weighed in their hearts. It seemed a harsh punishment, since they not only paid for their past actions, but also carried around the guilt as well, so they were paying doubly. But Osiris didn’t see it that way. If they truly repented, they would no longer feel the need to carry the guilt. It’s a weird Catch-22 that meant he could condemn those he saw fit by their own mental manipulation. 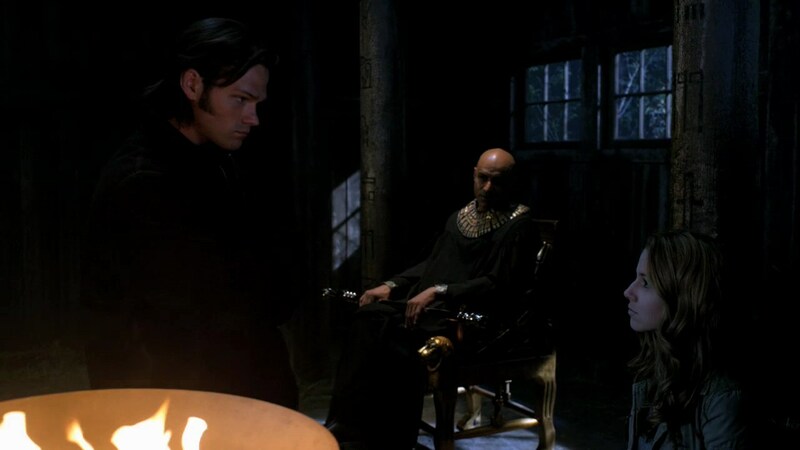 Of course, one look at Dean Winchester and Osiris would be gunning to get him in his courtroom pretty quickly. Dean is the epitome of guilty conscience. Everything he’s done, everyone he couldn’t save, it is all carried inside his heart and his mind. Even when it’s not directly his fault, he turns it around and berates himself for not doing enough. This is the reason his increasing alcoholism and depression is taking center stage this year. It’s finally become too much and he’s cracking under the pressure. He couldn’t save Jo and Ellen, he couldn’t prevent the turn of Cas, and he repeatedly hasn’t been able to save Sam, despite it being his one thread of purpose throughout his life. His father gave him a mission when he was four years old, to protect Sammy, and somehow he’s never been able to live up to that task in his own mind. 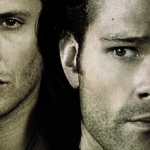 Sam’s been turned, he’s been evil, he’s died repeatedly, and Dean feels like it’s all his fault. So, using Jo and Sam as witnesses in a trial about his guilt was only fitting, as was the reminder of all the other lives he feels like he’s ruined. 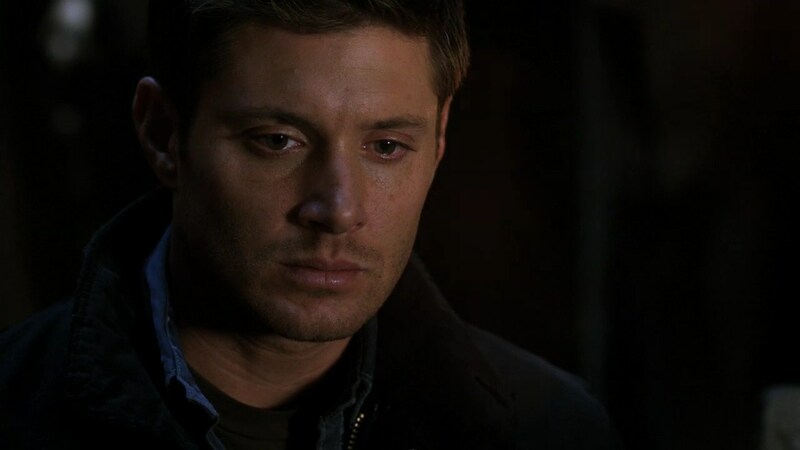 Many people have had the misfortune of interacting with Dean Winchester and when their lives go to ruin, it’s marked down upon Dean’s heart as one more failure. And then there’s Sam. Sadly, between the two of them, Sam seems to be the most well-adjusted. That’s pretty sad, considering he’s the one with the Hell hallucinations and the inability to tell fantasy from reality. He’s also still using pain as a touchstone, which I keep wondering if he’s going to ever find a more healthier coping mechanism. However, he’s also been able to let go of his guilt. He’s done some bad things in his life, but he served his time in Hell and now he sees the scales as more balanced. Dean hasn’t learned that yet and it’s going to kill him if he doesn’t learn it soon. He can’t carry around that much guilt and pain without it cracking his already fragile psyche. He’s withdrawn into the safety of his former view of the world being clearly monsters = bad. 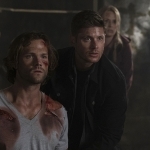 I wonder when Sam will learn the truth about Amy and when Dean’s going to go tumbling down. More importantly, for this episode, I felt a bit cheated that he didn’t learn this lesson yet. I thought that was going to be the point of the episode, to make Dean finally realize that carrying around all that guilt wasn’t healthy and that he couldn’t save everyone, but alas that was not meant to be. Instead, he’s continuing to keep secrets, drinking away his pain, and headed down a path of destruction. One of Dean’s other big sources of guilt was Jo and she was used as the first witness in his trial. It was wonderful to see her back on the show, even if it was temporary. It was interesting that she didn’t want to bring vengeance upon Dean, but she was pushed to do so by Osiris. 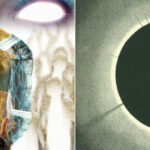 In light of that, who is Osiris really benefiting? If the victims don’t want to bring death upon those responsible for their own lives ending, then what kind of justice is this? I love that Dean was forgiving of Jo the entire time, because he felt like any actions she brought were justified. She didn’t want to kill him, but he felt like he deserved it nonetheless. I temporarily wondered what sort of death she would bring upon him, apparently blocking out that “oh, yeah, he’s going to die like she did”, so when she started turning on the gas it was heart-wrenching. They were all put into a bad situation, but thankfully Sam managed to save them in time. I’m still aggravated over the continual secrets Dean’s keeping. 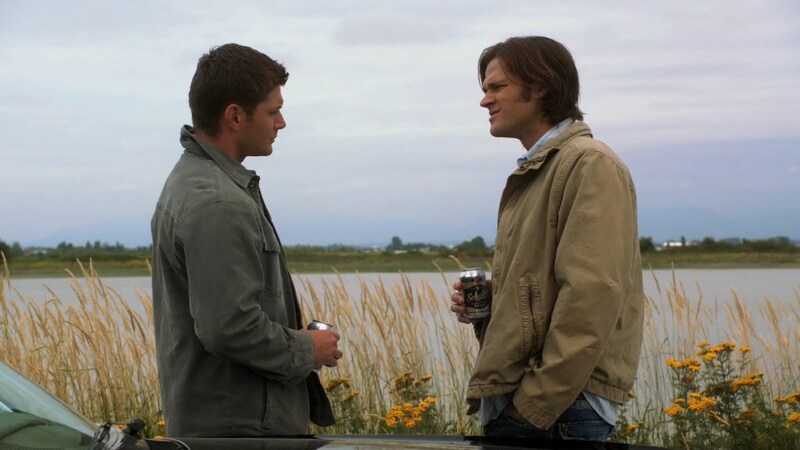 He’s treating Sam more as an equal now, which is good, but he also has that big brother mindset of trying to protect Sam from information that will hurt him. We’ve seen what happens when the Winchesters keep secrets from each other, namely the pain of death and other apocalyptic devastation. I’m looking forward to the blow-out because it’s going to surely be massive. We’re watching a ticking time-bomb and his name is Dean Winchester.